The first few hours of the work day can have a significant effect on your level of productivity over the following eight—so it’s important you have a morning routine that sets you up for success People in general can be distracting! Partners, employees, clients, referral partners and anyone needing your time when you aren’t expecting it. 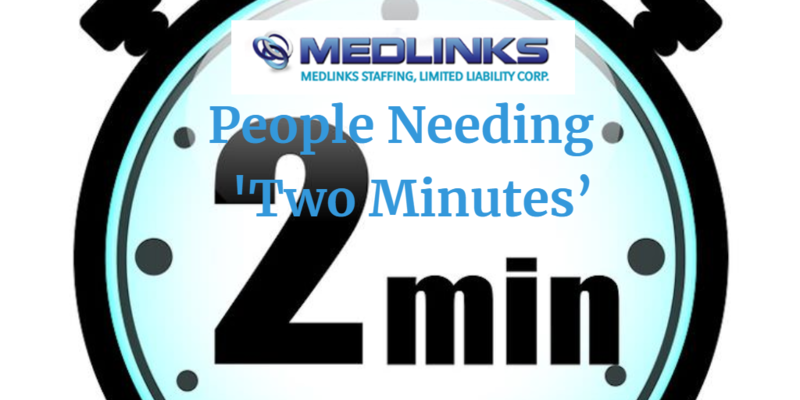 If someone says they want two minutes of your time, it is almost never two minutes! If I don’t have time to meet with someone for 10-15 minutes right on the spot, I usually have them schedule a time with me. Stay productive check out our Medlinks Staffing website for new employment opportunities!